In a small bowl, stir to dissolve coffee granules in 2 tsp. hot water. In a medium-large bowl, add all remaining ingredients except whipped topping. Add dissolved coffee, and mix until smooth and uniform. Gently fold in whipped topping. 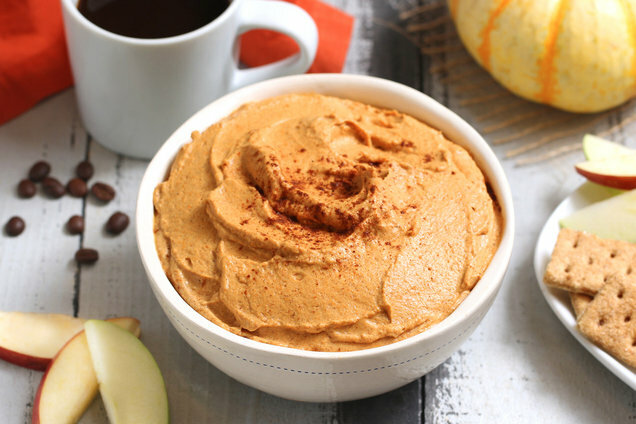 Want to make EVERYTHING taste like pumpkin pie all season long? 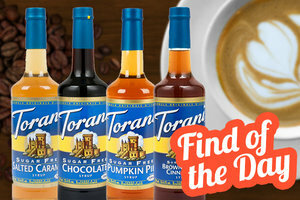 Put a pack of Torani Sugar Free Winter Syrups in your Amazon cart. The Pumpkin Pie is our favorite, but the other flavors are seasonal perfection! Add it to coffee, yogurt, oatmeal, shakes... even baked-goods batters! ZERO calories per 2-tbsp. pour. (It’s sweetened with sucralose, so skip it if you avoid the stuff.) Each bottle is ENORMOUS and lasts a long time. So great! Hungry for More Pumpkin Spice Recipes? Pass the pumpkin! FYI, as an Amazon affiliate, we may receive compensation from some of these links. Share this recipe with all the PSL lovers in your life... Click "Send to a Friend" now!